I’m a true believer of stats not always telling the whole story. But, the numbers also don’t lie to me either, when I look at stats, they usually point me in the right direction to make some semblance of judgement. And looking at Klay’s numbers – he shows signs of something I have never seen before as a shooter. Klay Thompson has turned the NBA upside down – he is so good, teams are going to have to find ways to try and slow him down when he gets running hot, and that could mean the resurgence of fouling him, not unlike the “Hack-a-Shaq” method was used 20 years ago, based on his dominance. He is among the NBA’s most complete offensive players, and he is makes a case as the single most gifted shooter, not only in the current NBA, but could make a case as in the history of the league. Thompson’s game is built off of quick footed cuts, moving smoothly without the ball and then finding a way to pull off a shot – often times without even dropping a dribble. And having the ability to shoot off-the-dribble is very proactive, and is much harder to defend. And on defense, Thompson often times covers the opponents most dynamic scoring threat. He has good length, at 6-7, and some very good one on one defensive ability. These are the things you watch for in a on the ball defender. And usually those things come with experience, and he has gotten better with each year. As he oftentimes guards point guards more often than teams’ shooting guards because Curry is not really all that good with staying in front of his guy, as Klay is more than capable of staying front of quick guards. He has shown he can guard on the perimeter staying with them as they’re trying to penetrate the lane. The majority of good shooters often rely on good screens to get enough room to get off their shot. And until recently, three pointers were typically the result of a good pass or screen leaving the shooter wide open. Klay has broken that mode for shooters. Thompson had put up numbers above his career average in almost every category in 2017 – by shooting 48% from the field, and hitting 44% from 3pt range. 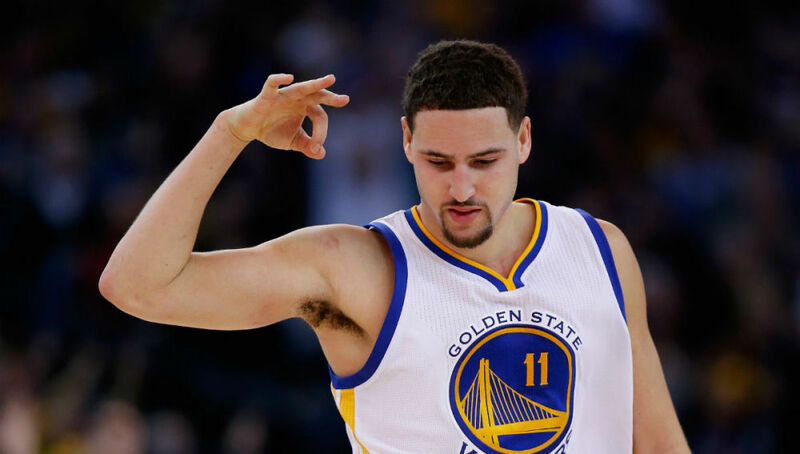 Klay’s 3-Point shooting has been awesomely consistent. And if he runs dry for a bit – his shooting slumps don’t last very long. Klay has great confidence to keep shooting, even on the rare occasion he misses 4-5 in a row, once he gets knocking them down, he is back on track in a hurry. And his durability is one of his best attributes, as he has played 94% of the games of his career through 2017. And many of the games were results of the team letting him rest. Curry is still the teams biggest threat, and always will get more opportunity to shoot more and have the bigger numbers to Klay in 3 pointers made. Curry has the green light to put up shots from anywhere on most nights. Which also can lead to Steph chucking up some bad shots in tough situations to try and get the team going, including at times, an out of rhythm shot, and he can get caught up in playing hero ball, at times, which hurts the team. Klay doesn’t quite have the lengthy leash that Curry has. Mind you, Klay does find a way to toss up some heat checks from time to time, but, on the whole, he doesn’t match Curry in 3PA per 36 minutes, 11 shots to 7. 47% of Curry’s shots are from behind the arc, to 44% of Klay’s. If he finds a way to end up with 3-4 titles – which is very possible – and finishes with some impressive career markers, like top 5 all time in 3 pointers made, which is quite likely, or top 5 in trey ball FG% – it’ll be a super interesting question of if he will be considered a potential Hall of Fame player. I look at Klay as a top notch player who will keep growing into an even better one, based on his ability to get so incredibly hot and keep the Warriors in the game offensively also while playing tight D. Klay is easily one of the leagues best 2 way players. Thompson has shown great improvement, year after year in the NBA. 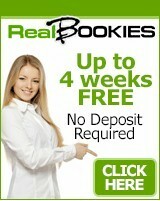 I do not see that trend slowing down anytime soon and you can get all of your NBA Winners at 10StarPicks.com.